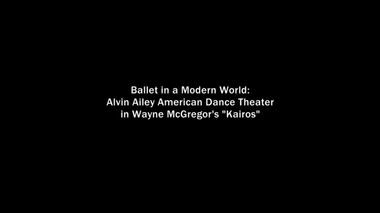 Kairos, choreographer Wayne McGregor’s second Ailey Company premiere, fills the stage with sinuous, angular movement and synchronicity. 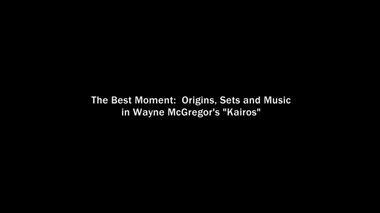 Drawn from the ancient Greek language, the word “Kairos” has dual meanings, the first being the most opportune time to take action and the second being weather. 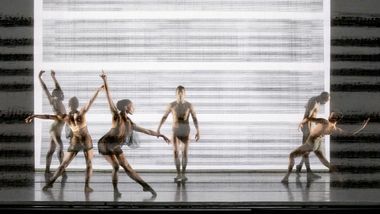 The ballet is framed by Idris Khan’s dramatic set design and played out to Vivaldi’s The Four Seasons, re-imagined by experimental composer Max Richter. 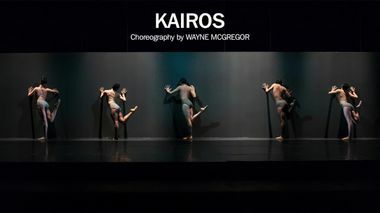 Ailey is the first American company to perform Kairos, which originally premiered in 2014 as part of the STEPS contemporary dance festival in Switzerland. Following the Ailey restaging of Chroma in 2013, the 2016 celebration of the 10th anniversary of Wayne McGregor as resident choreographer for The Royal Ballet featured members of both companies performing together in his acclaimed work for the first time. Ailey's troupe, timeless yet current. New York City Center celebrated its 75th anniversary last week. 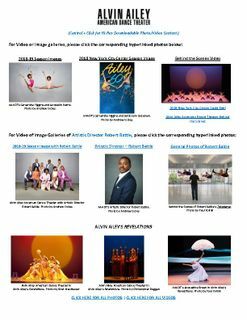 That milestone nearly coincided with the annual five-week Christmas season of the Alvin Ailey American Dance Theater, the theater's first resident modern dance company, itself celebrating an anniversary this year, its 60th. This theater, for this city. New York City Center Theater celebrated its 75th anniversary on Tuesday night. 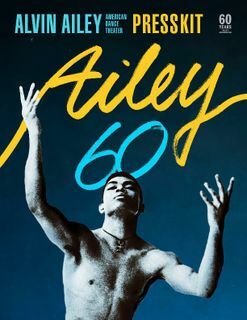 That milestone neatly coincides with the annual five-week Christmas season of the Alvin Ailey American Dance Theater, the theater’s first resident modern dance company, itself celebrating an anniversary this year: its 60th. 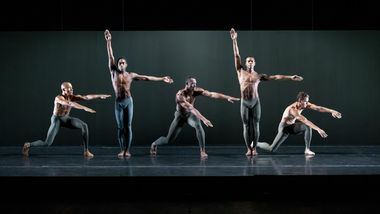 This season’s luminous The Call marks Ronald K. Brown’s seventh work for Alvin Ailey American Dance Theater in 20 years — more than any other choreographer. But why not twice that? The 52-year-old Brooklyn native regularly pays homage to the company’s founder, yet it is his own eloquent, open-hearted west African-inflected idiom that has become the troupe’s lingua franca.